Michael Anthony are pleased to present this five bedroom detached family home in the popular area of Kingsmead. Upon entering the property are greeted with the entrance hall, from the entrance hall to the left you enter the 22ft lounge with doors leading to the conservatory, to the right you enter the dining room, the cloakroom and the kitchen/breakfast room are towards the back of the property with double doors leading to the garden from the entrance hall there are stairs rising to the first floor. 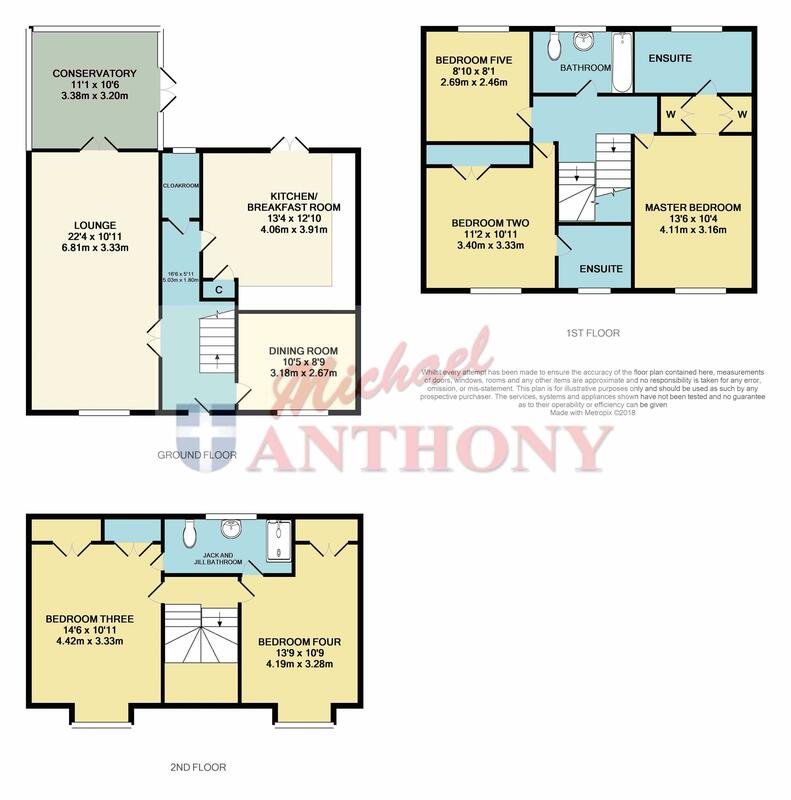 On this floor you have the master bedroom which has a dressing area and an en-suite, there is bedroom two which also offers an en-suite and bedroom five. There are stairs rising to the third floor here you will find bedroom two and three with a Jack and Jill bathroom. Externally you have a rear garden with a gate leading to the double garage and parking, Call now to arrange a viewing.